In the vast market of portable devices regularly appear companies, whose names are little known, and they say nothing to the ordinary buyer. Although their proposed gadgets often stand out attractively priced and can give odds famous brands, everyone would like to learn more about the new models, before risking the contents of her purse. 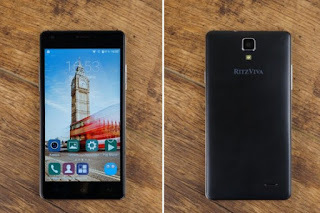 Fog over one of these strangers – smartphone Ritzviva S501, we scatter our review. The device is packaged in a cardboard box the size of its foam-protecting frame. Below, under the cardboard partition, is the charger, USB-cable, and a wired headset. 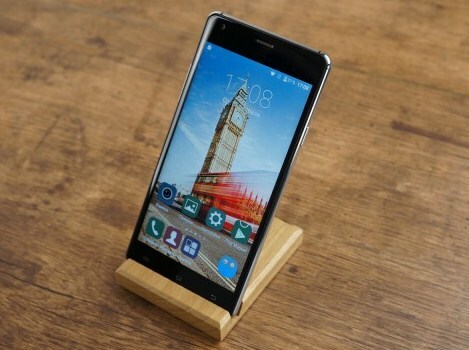 As a nice extra – protective film beforehand glued to the screen, and a transparent silicone case. Ritzviva S501 is available in two classic colors: white with gold metal and black with silver. The test apparatus was entirely painted in charcoal black color, except for the shiny metal frame around the perimeter of – in addition to improving appearance, it also increases the rigidity of the body. Above the screen is a camera lens, sensor and earpiece. Under the screen – touch the “Menu” button, “Home” and “Back”. On the back side is a square block of the main chamber, about a millimeter above the surface of the lid, just below – LED flash. Below noticeable notch multimedia speaker, offset to the right. A physical hardware buttons are located on the side faces: the power button – on the right, rocker volume control – on the left. Connectors headset (3.5 mm) and a micro-USB – on the top, the bottom is free. 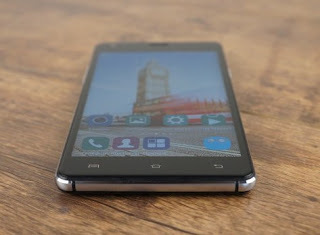 The smartphone fits comfortably in the hand and, in spite of the smooth back cover, it does not slip out. The plastic housing Matte, “fingers” almost does not collect. Location on the opposite faces of the buttons comfortable, and their fairly tight turn insures against unwanted clicks. But the location of the USB port on the top is not very good: use the device while charging is not always convenient. memory card slot, as well as SIM-cards slots, located under the back cover, and to remove or install the card, it is necessary to remove the battery. To remove its cover should pick up a fingernail into the slit in the bottom left corner, with latches hold firmly, forcing avoid failure to act very carefully. Unusually pleasant and that regular earphone headsets are not “ear” and “gag” – all things being equal, they provide a much better level of sound insulation. Screen Ritzviva put on a good IPS-matrix with a resolution of 720p. Wide viewing angles and an ample supply of brightness pleasing to the eye. 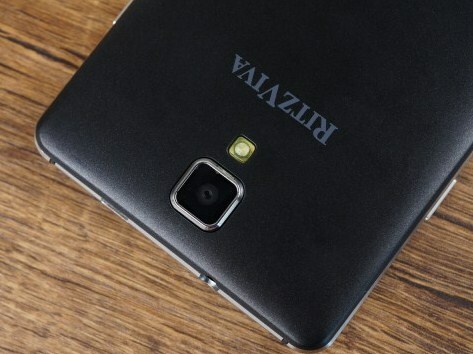 Permanent protection film is not very high quality, much better without her image. On the other hand, change it to something more decent – a piece of cake. Backlight brightness control can be assigned to automatically adjust to include it in the settings. However, it has several retardation: minor changes, nothing happens lighting, but it is necessary to turn off and turn it on again as the brightness changes. In the settings screen presents various options to improve MiraVision image, which includes dynamic contrast, color temperature, sharpness, contrast, and saturation. They allow you to select the parameters of the image according to the individual preferences of the owner of the smartphone. 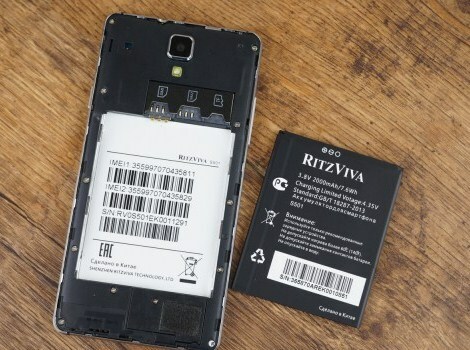 In the smartphone installed replacement battery 2000 mAh. In this case the processor, despite the frequency limit, turned out to be quite a “greedy”. Viewing HD-video on a full charge at maximum screen brightness is possible for 6 hours and 50 minutes, but in a dynamic game on the average brightness of the hour takes 45% of the energy. One day of moderate use, including a half-hour game, a half-hour web-surfing via Wi-Fi, and a few minutes of use and navigation cameras used up 68% of the charge. 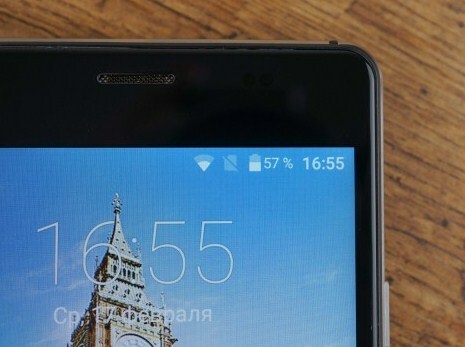 So it is likely to have to recharge smart daily. 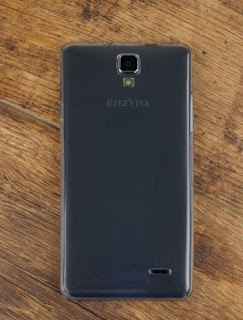 Despite the clear positioning of the budget, Ritzviva S501, for 7990 rubles and it looks cheap, and technical capabilities as a whole does not differ from the budget more expensive gadgets. It is a balanced unit with average capabilities, without critical for its price niche weaknesses. 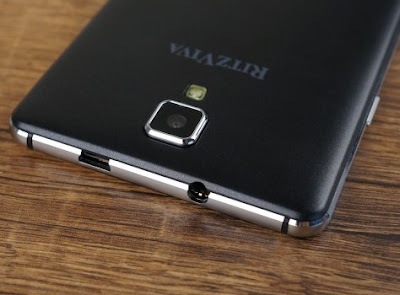 The merits – good screen, high-quality housing, reinforced with a metal perimeter quite acceptable battery life and good vosmimegapikselnaya camera.